I had no idea what I was doing when it came to planning and booking the fast passes and neither did my family. Last time we visited Walt Disney World, the MagicBand had only just be introduced and a trip to Disney required a lot less planning. We didn’t have to book meals 180 days in advance or prebook Fastpasses. 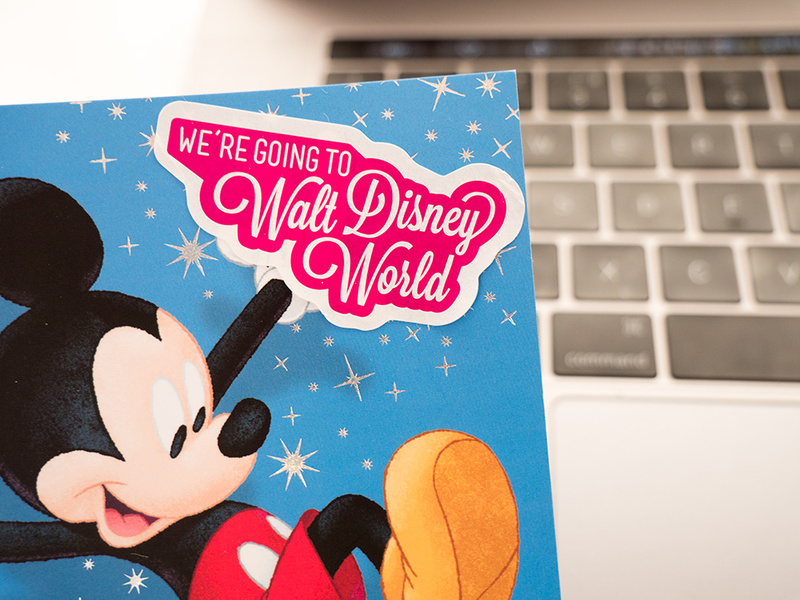 I am by no means an expert when it comes to planning for a Walt Disney World trip but I thought I would share how we approached the planning and booking and how well that worked for us. Definitely start by making a spreadsheet! At first I thought it was a little over the top to have a spreadsheet for your holiday. I had no idea where I would even start when it came to making one of my own. I am now fully convinced that the best place to start planning a trip to WDW is by making a spreadsheet. I was totally new to the idea but it worked really well for my trip so I thought I share how I’ve used it. I follow Charlotte Ruff on YouTube and she has a link in the description of all her videos to a spreadsheet template she has made for WDW planning. You can find it here. Her spreadsheet is amazing! I would definitely recommend downloading it and using it as your starting point. I downloaded the spreadsheet and made a just a couple of changes so that had a layout I felt worked better for me. 1. Park Hours – I found the Walt Disney World site perfect for finding out park opening hours. The website made it really easy to see the hours each day, for each park. Find the Park Opening Hours here. 2. Extra Magic Hours – Walt Disney World opens one of their parks ‘extra hours’ each day for those who are staying on-site. I used the Walt Disney World site (the same way as I found the regular opening hours) to find out which park opened for ‘Extra Magic Hours’ and whether it was AM or PM. 3. Fireworks – This might not apply to everyone but I noticed that Happily Ever After (the fireworks in the Magic Kingdom) weren’t on everyday during our trip. I went to the page on the WDW site for Happily Ever After (find here) and clicked on the little calendar icon underneath ‘Hours’. I clicked onto each day throughout our trip and I went through finding out which days we could see the show. We are staying onsite which means that we booked our dining (through the website) 180 days before our trip. We managed to get roughly what we wanted but you definitely need a list of the places you want reservations for before hand. After we made all the reservations we put all our dining plans into the spreadsheet. I included the park, the name of the restaurant and the time. The hardest part of the planning process I would say is definitely pre-booking Fastpasses. I have never been to Disney when you have to book your Fastpasses 60 (30 if you are staying off-site) days in advance. I had no idea how on earth to decide what rides we wanted to go on each day. We figured it out in the end and it worked really well! We decided on the plan above for one of the days so that we could use our fastpasses after our breakfast and then head back to the hotel for a few hours in the afternoon.We would then return to the Magic Kingdom on the evening for the fireworks, hopefully to also use the extra fastpasses we booked on the actual day. Every day on our spreadsheet included a rough idea of where we wanted to be when and the corresponding fastpasses we wanted for the day. 60 days before. Time to book your Fastpasses! We are staying in a Disney Resort for our trip which means we could book Fastpasses 60 days in advance. The My Disney Experience (which you login to on the WDW website) told us the exact date which was 60 days before our trip. On that day we could go to the Fastpass+ section of the My Disney Experience and book the rides we wanted! Whilst you can see the date you can book Fastpasses, it doesn’t say the time. For those in the UK, you can make reservations from 12pm on the 60 day before mark. My friend who recently went to WDW gave me a few tips which I very much appreciate, so thank you Katie! One was to use a computer and not the app. She also said to have two people trying to get Fastpasses at the same time. You can have multiple accounts linked to the account which initially booked the holiday. Whilst my Dad booked the trip, he was able to link me to the reservation which meant that I could also see and manage any reservations for our trip through my own account. Following Katie’s recommendation, I sat logged in on my laptop and so did my Dad. We both had the spreadsheet open so that we could see what Fastpasses we wanted and on what days. We both refreshed and refreshed ready at 12pm. The website didn’t work. Instead of the Fastpass booking page we kept seeing ‘Whoops’ and a picture of Olaf reaching for his head that had fallen off… We both refreshed and refreshed. Still nothing. I decided to try the app, just incase. The app worked. I managed to book one Fastpass for Flight of Passage before trying the website again. The website luckily worked after that as it was much, much easier than the app. We decided to book rides that we know are popular first. We went straight to booking both rides in Pandora, Seven Dwarfs Mine Train, Toy Story Midway Mania, Tower of Terror and Big Thunder Mountain. We booked both rides in Avatar, including Flight of Passage, not once but twice! We also booked Big Thunder Mountain, Seven Dwarf’s Mine Train (again multiple times!) and Rivers of Light with ease. We managed to book quite a few of the rides more than once which I was really pleased with especially as they are popular ones. I am very excited to have multiple Fastpasses for Toy Story Midway Mania and Tower of Terror! We made the decision to go day-by-day in booking the rest as the availability was better than we expected. A lot of the time we felt it was easier if I booked the Fastpasses and my Dad told me what Fastpasses we already had booked and what we had planned in the spreadsheet. Booking them day-by-day was really easy and had plenty of availability especially in the first 30 minutes after 12pm. After about 30 minutes I noticed availability wasn’t always as good but overall we managed to get what we wanted. We managed to get more or less, exactly what we wanted and when. It did definitely help having a plan and a rough idea what we wanted before hand. It also helped having more than one person on hand to when booking the Fastpasses. I found the system simple to understand and navigate and didn’t have any major issues with the process. The only problems we did have included the website not initially working at 12pm. We also had to change around a few of our dining reservations. We managed to keep all the breakfast meals the same, but we did have to change the time for a few lunches. in order to use the Fastpasses when we wanted them. We managed to easily rebook the meals afterwards so that wasn’t an issue in the end. I hope you enjoyed reading about my experience of planning for Walt Disney World and that it has been even a little bit helpful for your trip! I can’t wait for Disney now, especially after booking the Fastpasses. If you have any questions then be sure to leave them in the comments below and I will try and help you as best as I can!